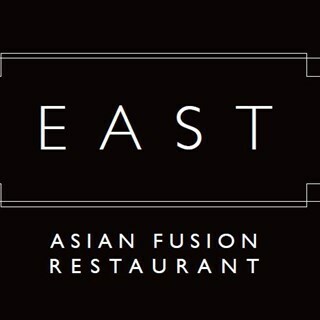 East Restaurant is open Monday to Friday from 12:00 to 14:30 for Lunch, Monday to Saturday from 17:00 to 22:00 for Dinner and Sundays from 17:00 to 21:00 for Dinner. Dare to be different, you do and that’s why you’re here with one of the top restaurants in Dublin. Introducing the new look, feel and taste of East Restaurant at The Spencer Hotel Dublin. East creates a whole new dining experience in Dublin’s IFSC, offering lunch and dinner in the heart of Dublin. The restaurant, tucked away in a corner of the IFSC and recently refurbished still retains a loyal local following, with long-time regulars sitting harmoniously alongside the increasing number of international visitors. Our Chefs use modernist techniques and artistry which come together to produce amazing results. They have developed a menu that combines old classics like Nuea Pat Si Ew Kao or Nasi Goreng. The result, a heady hi-lo fusion that combines the thrill and taste sensation of simple dishes with the refinement of some of the greatest gourmet dishes. Although many of our dishes are of Asian origin our menus also feature dishes from Indonesia, Malaysia, Vietnam and Japan to make EAST a true celebration of Pan Asian cuisine. Hotel lovely..restaurant Staff lovely, overall food disappointing. Had calamari which was tasteless, no seasoning. Wings were amazing. Was ok but wouldn’t Rush back go back for a second meal. As always the food and service was excellent. We always feel very welcome and feel happy to recommend you to friends and colleagues. The little touches make the difference. Unfortunately the massaman curry with tofu my sister ordered was not nice... Tofu very rubbery. Seemed to be cooked earlier and put in dish not cooked with it. Otherwise ok.
Service was very efficient and the staff are lovely. The food is fabulous with great portions, and excellent value for money. Definitely be back! Service wasn't the best but food was lovely. Drinks weren't great either. Very enjoyable meal. Great value and service very good. Very friendly. I had the chicken chow mien and would have liked more vegetables. But besides that everything was lovely. We were a table of 4 for an evening booking.The food was very good and the allergen information very clear which was relevant to two members of our party. I would have scored the food higher except I picked a vegetable stir-fry because it had no flame signs next to it indicating it was hot but in fact it was too hot for me to eat and I ended up eating a bowl of rice. The staff were very pleasant but it took a long time for someone to come to take our order and we had to ask for the wine list. It was disappointing because the food was nice and the surroundings lovely. I would try it again however. Very nice dining experience, lovely variety of Asian food which was served quickly and efficiently by very professional staff. Will definitely be repeating the experience. Everything was great as usual and food was delicious as it always is. The one thing i would say is that it took quite a while before our drinks came but it was no big deal. Very fast and friendly service perfect for a lunch time meal. Very good venue, our company regularly use this venue to book lunches and we will continue to do so in the future, however I feel the menu lacks real spicy food, there needs to be one or two spicier dishes on the menu, and this time I was disappointed as our guest from the US did not receive the correct food order and the drink she ordered never arrived. Lovely food and quick service. I had been to the restaurant previously as I work in the area and have always been a fan of the service and the food. My mum had never been and was very impressed with both. She has been raving about both since! We thoroughly enjoyed our stay at the Spenser, the staff were lovely and food was fantastic.